This issue features interviews with writers Robert Smith? and Gary Russell, plus the Eleanor saga continues with the short story Touch Paper. 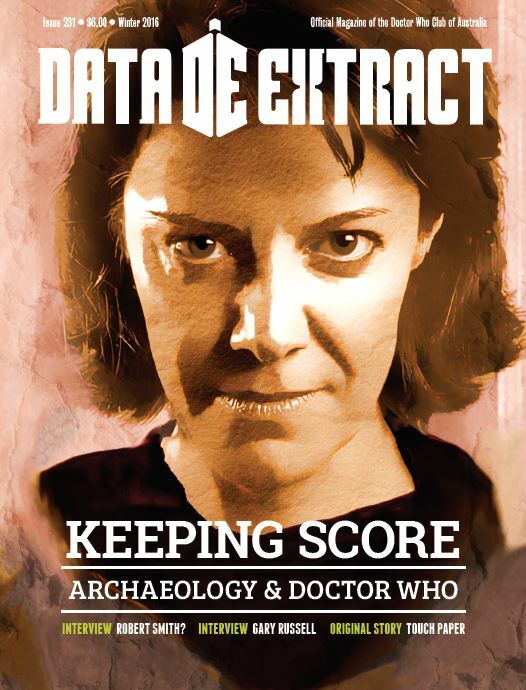 Also - from the ice tombs of Telos to Marcus Scarman in Egypt, from Bernice Summerfield to River Song, the many representations of archaeology in Doctor Who are chronicled and discussed by archaeologist Darran Jordan in the article Digs and Daleks.